Earlier this year, Xmiomi was spun off as a sub-brand by Redmi, allowing it to focus on the mid-range smartphone segment. 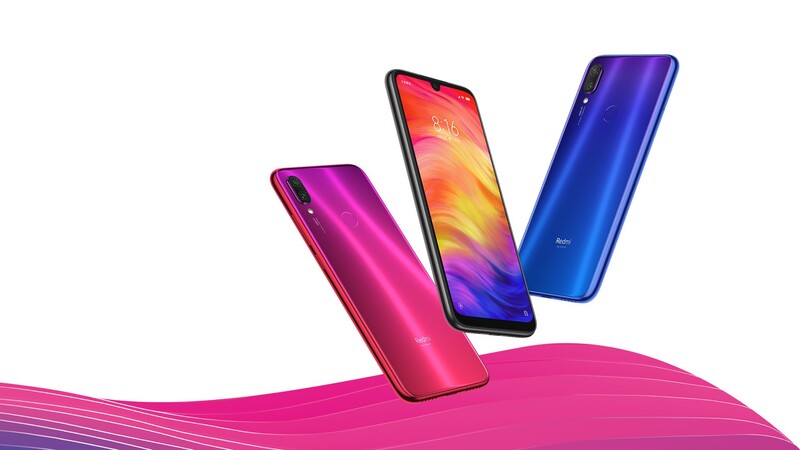 The first phone under the "Redmi by Xiaomi" moniker is the Redmi Note 7, which was presented on January 10 at an event in China. The Redmi Note 7 builds on the success of past Redmi Note iterations and features such features as the water drop notch and a 48-megapixel camera. 9 ends with the hashtag "#thuglife". In China, the grade 7 costs 9,999 yuan (Rs. 9,400) for the basic version with 3GB of RAM and 32GB of storage. With 6 GB of RAM and 64 GB of internal memory, it costs 1399 yuan (~ 14,500 Rs). We expect the Indian price to be in the same range. The Redmi Note 7 features a 6.3-inch Full HD + IPS display (2340 x 1080 pixels) with a coating of Corning Gorilla Glass 5. Due to the water droplets – Note on the front is the Note 7 has an aspect ratio of 19.5: 9, which offers users a larger screen situation. It is powered by Qualcomm's Snapdragon 660 chipset with an Octa-Core Kryo 260 CPU and Adreno 512 GPU. This is supported by 3GB / 4GB / 6GB RAM and 32GB / 64GB memory configurations. One of the phone's main attractions is the rear 48 megapixel camera sensor, which is paired with a 5 megapixel secondary camera that supports depth detection. On the front there is a single 13-megapixel camera for selfies. The Note 7 has a fingerprint sensor on the back and a 4,000 mAh battery that supports fast charging.